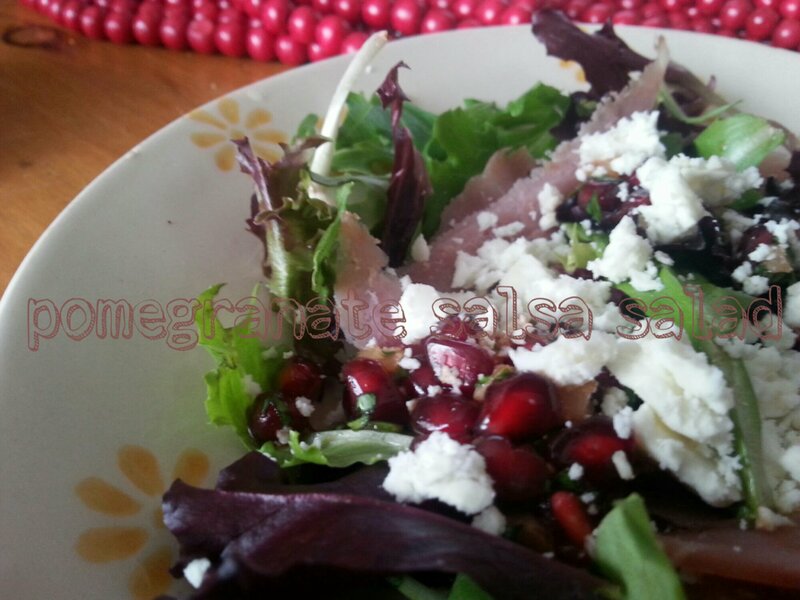 I had some ham and was able to spirit away some pomegranate avrils from my loving husband. 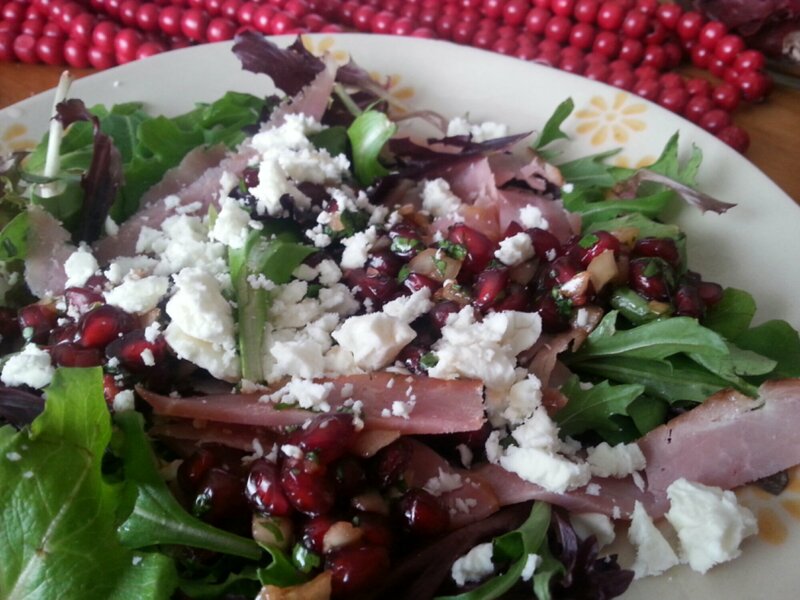 I did an internet search and came up with a recipe from Food and Wine magazine, Serrano Ham and Arugula Salad with Pomegranate Salsa. Okay. I’ve had Serrano ham before, but it is not readily available in my local stores. And where would I buy pomegranate molasses? I just don’t feel that we need to deprive ourselves of beautiful food because we lack fancy ingredients. So i made this salad with ordinary ham that I sliced myself. I also reduced some pomegranate blackberry juice to make the molasses. I saw recipes for the molasses and they just simply involved reducing pomegranate juice, a little sugar, and a bit of lemon juice. My juice had carrot juice and other stuff, so I figured it was sweet enough. In a medium bowl, combine the onion with the lemon juice and season with a little salt. Set aside for a couple of minutes. Stir in the molasses, oil, pomegranate avrils, cilantro, and season with pepper. Arrange greens on salad plates. 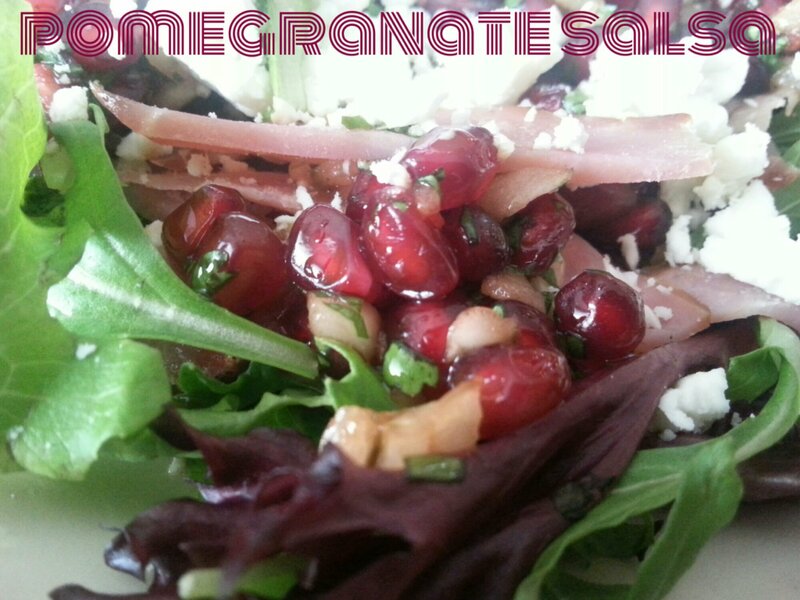 Scatter with ham and drizzle the pomegranate salsa over the greens. Top with the cheese.